School fundraisers! These two words strike fear into the hearts and minds of teachers, administrators, and parents everywhere. It’s a subject that provokes silence at PTA meetings and makes people cringe at the thought of yet another school carnival to be arranged and organized! 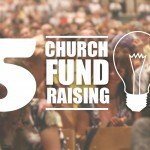 However, fundraising doesn’t have to be so complicated and predictable. To inject new life into your school fundraising, why not use some of the easy fundraising ideas below for your own school promotions? Hosting a school art show is one of those school fundraising ideas that not only celebrates art and creativity, but can also generate ticket sales for your school. It’s something that would be a worthwhile project that is genuinely exciting for the artistic students at your school. Consider approaching an actual gallery or business location to legitimize it as a real show, rather than settling for the school hall. The event would represent great media exposure for any art gallery or business involved. 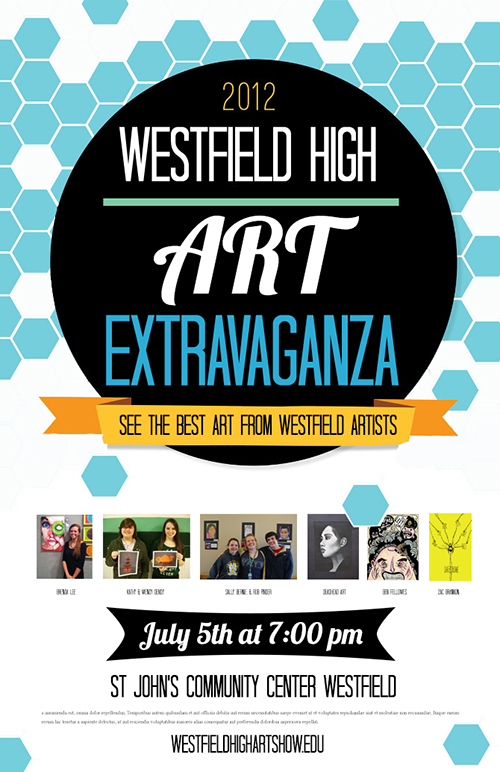 Make it a real community event by inviting students as well as local artists to contribute to the show. In this way the students can celebrate their work with their families and local artists get exhibit space and free publicity. It’s a winning strategy all round! Create a cool poster and flyers to advertise your art show within your community. High schools are places that are filled with trendy young people who just love to wear the latest fashions and styles. Make an event out of this obsession in which the kids have to pay to wear their cool gear in a catwalk contest. The winner gets crowned as well as receiving a fashion related prize such as a gift card to a boutique store. Stress to the students that the idea is not to encourage such shows of fashion hierarchy but to have fun and to celebrate creativity and design by giving special prizes to kids who design and make their own outfits. 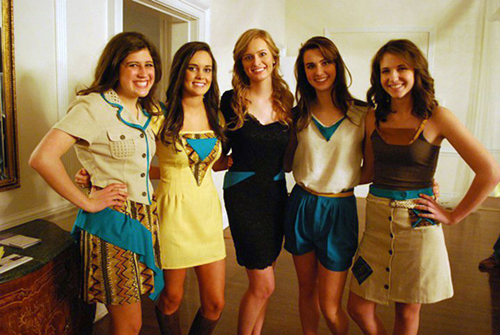 A school fashion show is a trendy idea that will resonate with students. There is a great lesson to be learned about the importance of recycling in our society. This idea can crossover to your school in a very practical sense when students and parents are encouraged to recycle their old cell phones, ink cartridges, cans, and bottles in drop boxes. It’s such an easy fundraising idea and sites such as www.planetgreenrecycle.com can make the process of collecting and shipping these items a breeze. With such little effort for a payout, it’s something all schools should consider. You may even want to add an element of fun into the collection by creating a prizewinning competition between the different grade levels as motivation. 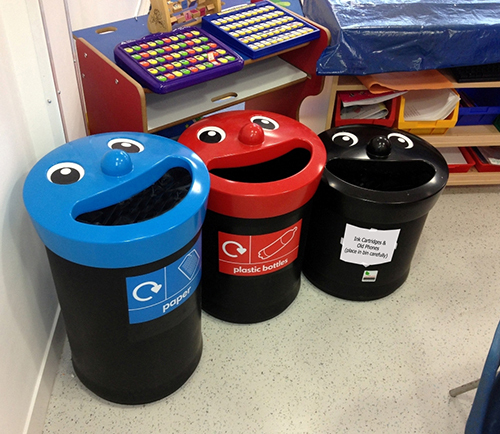 Make it a contest – set up bins for different recyclables for different grade levels. 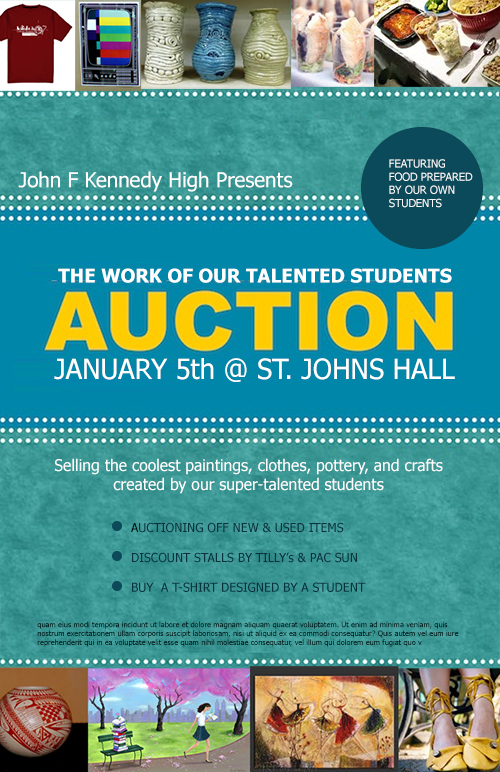 Create a school hall event as an auction or stall sale that features paintings, metal shop pieces, pottery, clothing designs and other creative things that the students at your school are making and would like to sell to raise school funds. You might even consider reprinting paintings and designs on posters, t-shirts, canvas prints, etc. to sell or auction off. This would be an opportunity for the school to raise awareness for student work and raise funds. You could also add an extra element of parent and student participation by including a used a clothing sale or toy sale (require that clothing donations are sorted by size and gender, and price items to sell). Sponsored school sports events are something you should always consider as part of your school fundraising calendar. They are great for raising funds and fantastic for encouraging exercise, activity, and a healthy lifestyle among students. When choosing your event, it doesn’t necessarily have to be a typical jog-a-thon (although that is always a fun and easy option for a fundraiser). Sport-a-thons are an ideal school activity because they combine exercise and fun for the community. They also provide the opportunity to generate significant income without high overhead costs. They are particularly successful if you can get local businesses to sponsor. 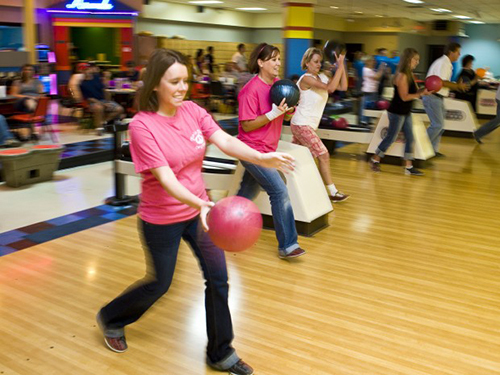 Bowl-a-thons and other team activities are a great for health and school team-building. • If you need flyers, posters, banners, and other supporting prints for your fundraisers, go to NextDayFlyers for affordable school printing.